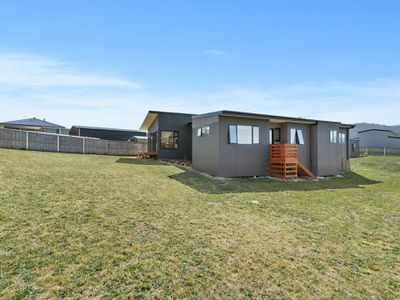 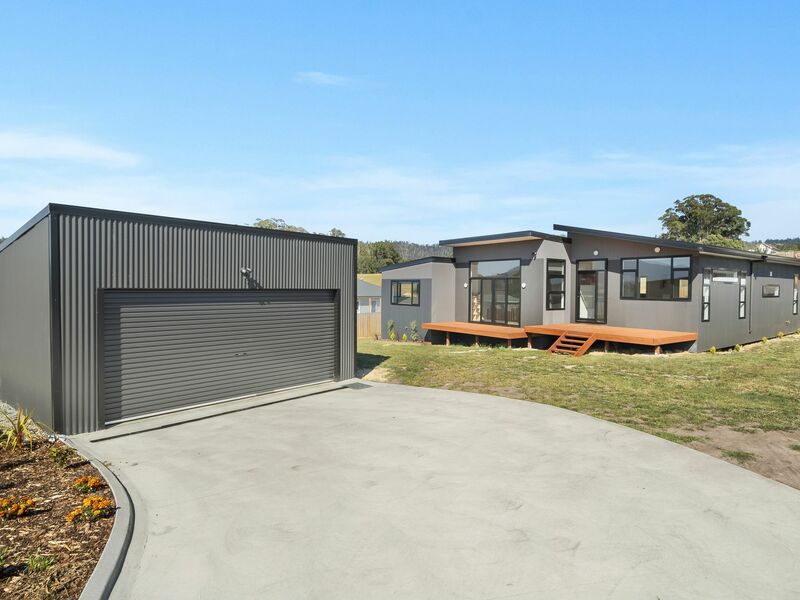 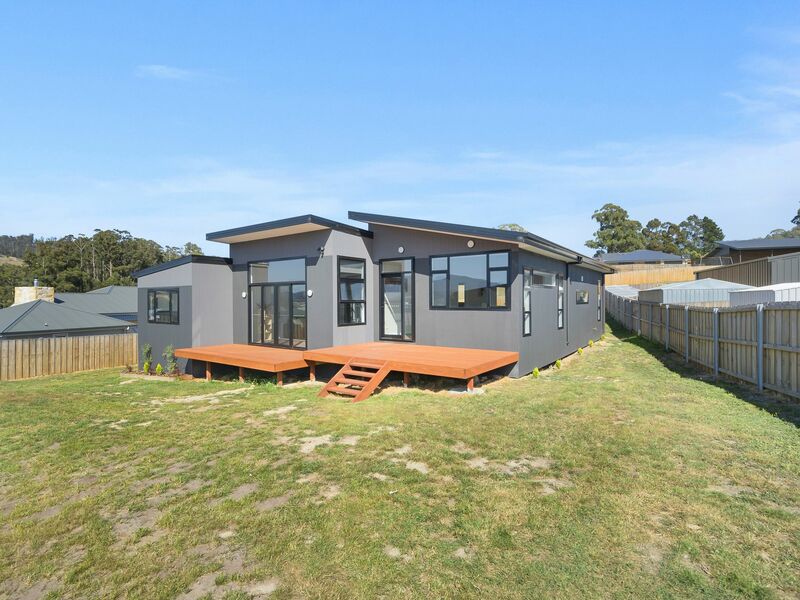 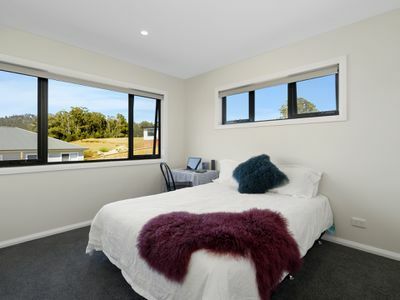 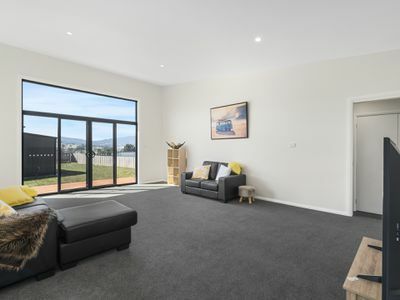 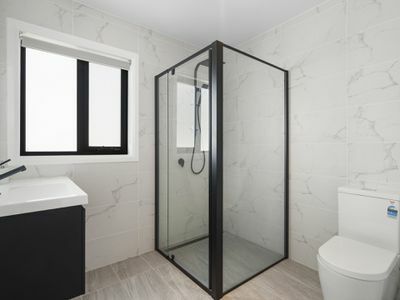 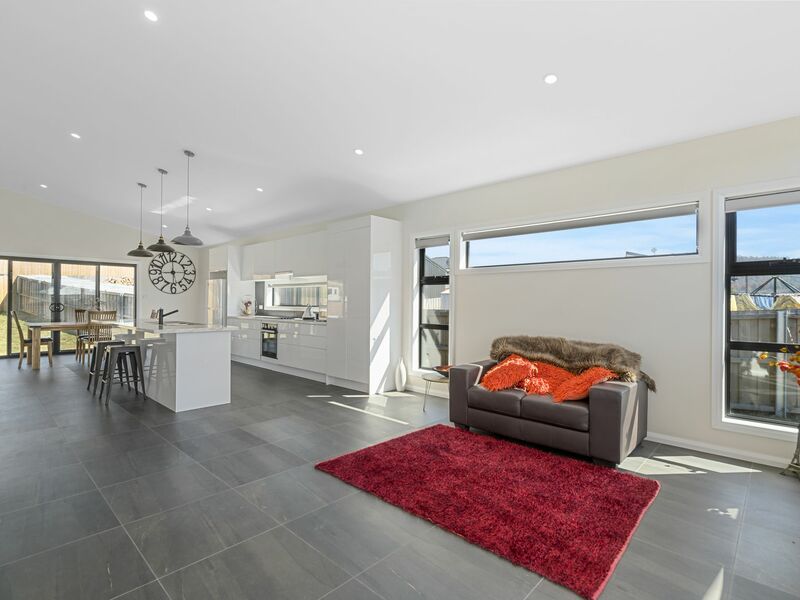 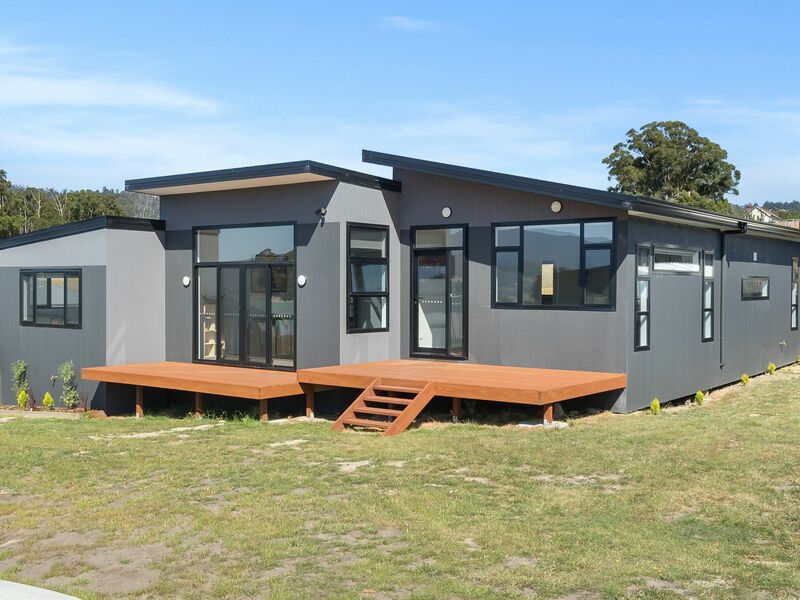 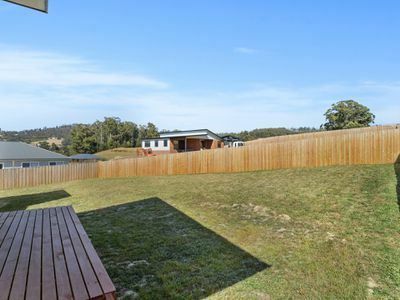 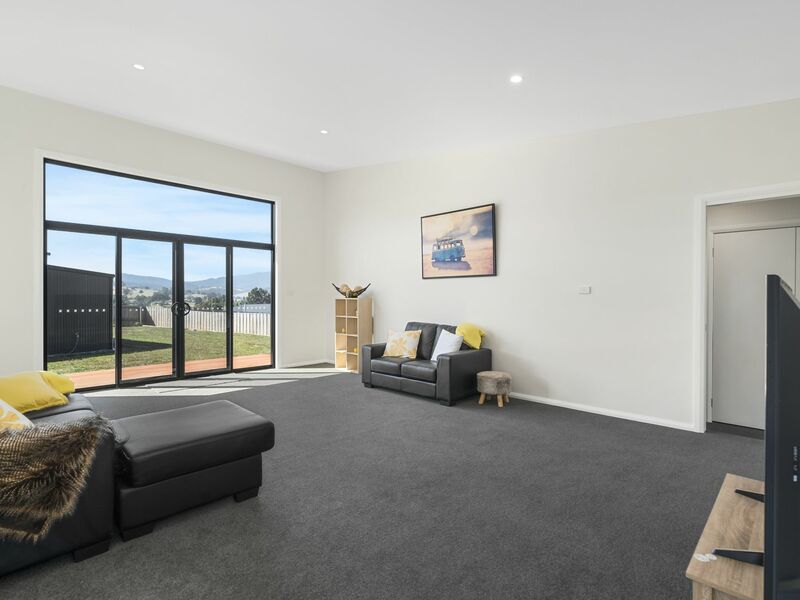 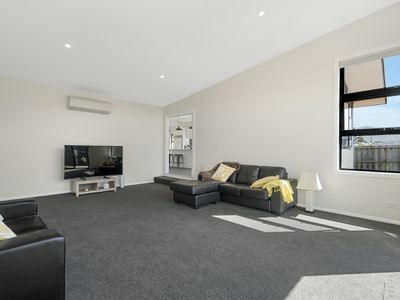 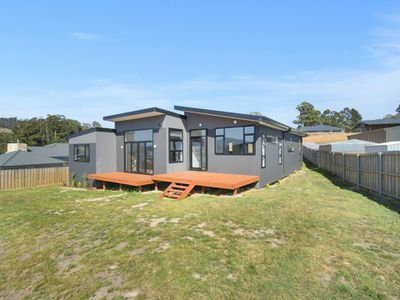 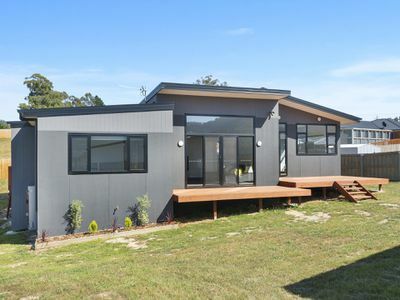 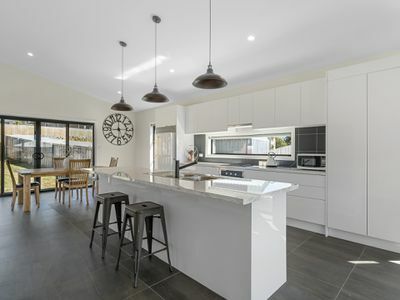 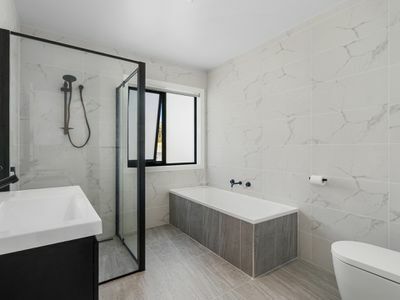 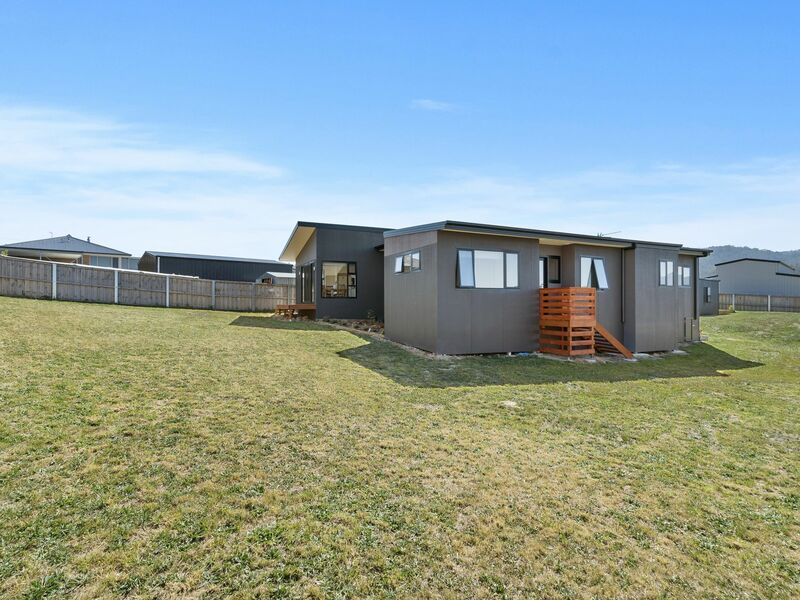 This recently constructed, modern home is set well back from the road, privately positioned and has been built with a focus on the available rural views. 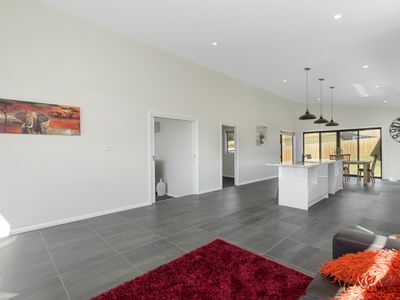 The main entrance brings you through one of the spacious dining options and into the beautifully appointed kitchen. 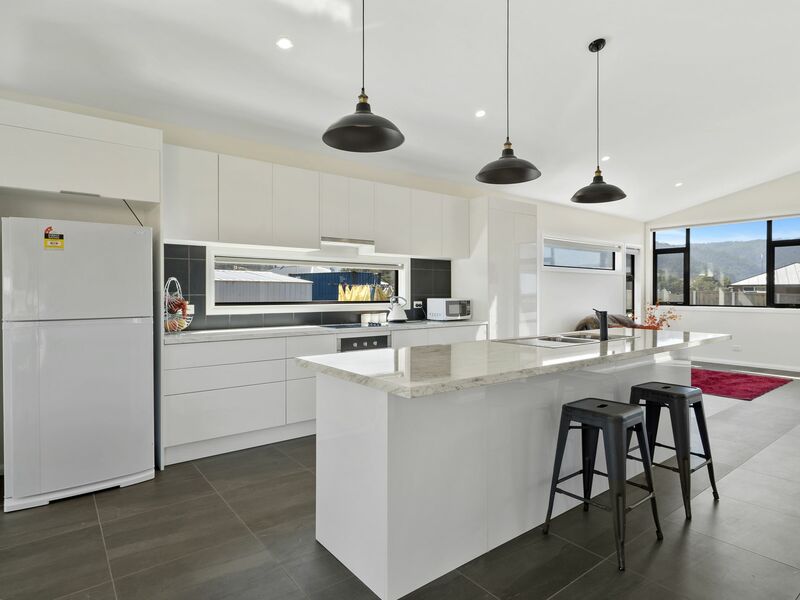 This space sets the style and standard for the rest of the house – with marble look benchtops and plenty of overhead storage; cooking while entertaining will be a breeze here. 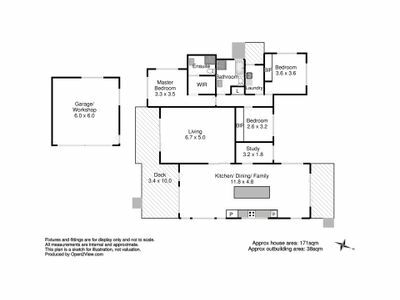 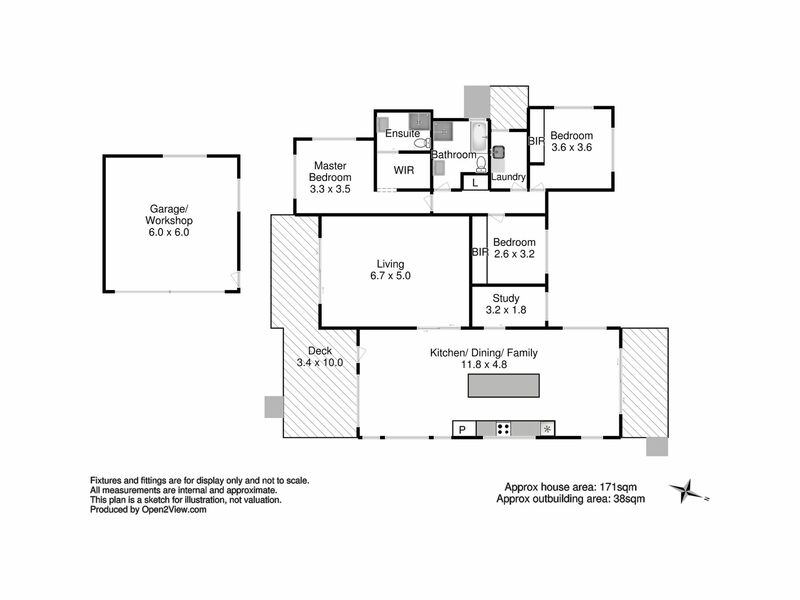 The semi-formal living area can be closed from the rest of the house but this very clever floorplan has allowed for both intimate, defined spaces to become large open areas at your will. As you would expect for a house so freshly constructed, the bedrooms are each doubles and offer modern look, built in robes. A front and rear deck were included in the design so that you can enjoy both the morning and late afternoon sun while overlooking the level, fenced garden. 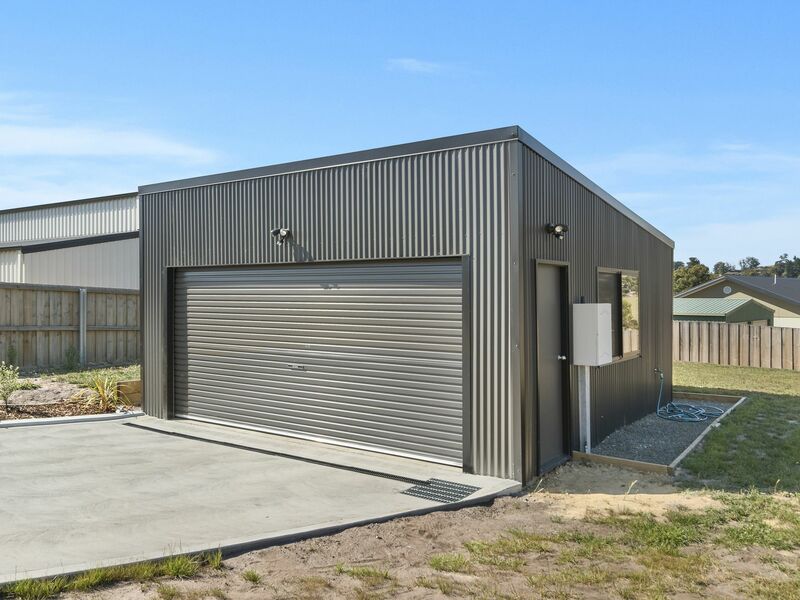 There is already an office off the kitchen but if you required a little more space to create – the garage has been built to allow for easy transition into a studio space. This is a fantastic example of modern, easy care living with all local conveniences close by. 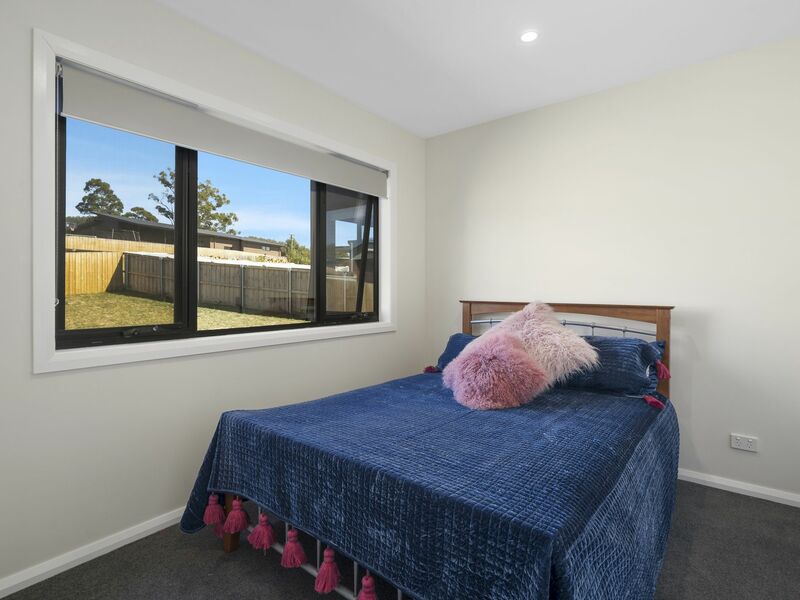 Dorgan court is located within easy walking distance to local schools, shops and services. 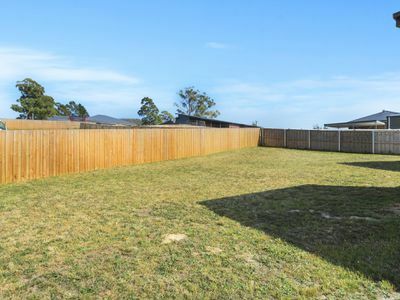 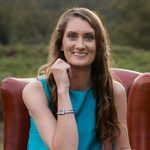 This property is a delight to inspect and I encourage you to contact me to book your appointment to view.